Are you sick of unprofessional work environments? Want a company where you have growth potential?! Yes, to all 3? Then you have found the right place! We are searching for talented, energetic Sous Chefs to lead our hardworking team! 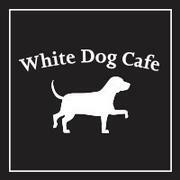 White Dog Cafe has been engaging its local community with award-winning contemporary American cuisine, since 1983 in Philadelphia, 2010 in Wayne, and 2014 in Haverford. Known for creative menus, using the highest quality farm-fresh ingredients and humanely raised meats and poultry, our menus change weekly to capture the best local, seasonal and sustainable grown foods available.